Andy seems to be looking after Ann properly. 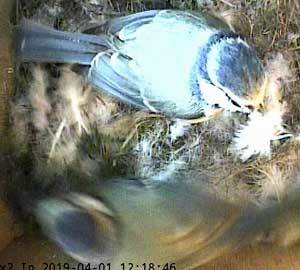 Here he has some food for her. 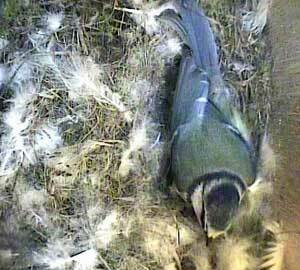 Ann performs a nesting wriggle! 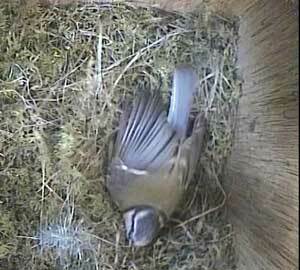 Ann has come to Box1 to roost for the night. 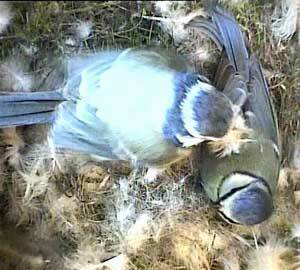 Fast asleep - the last picture before shutting down for the night. 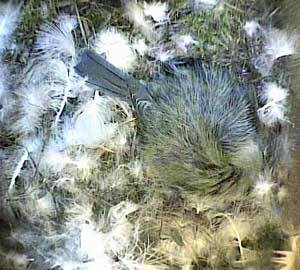 Over in Box2, Bella has brought in lots of feathers. 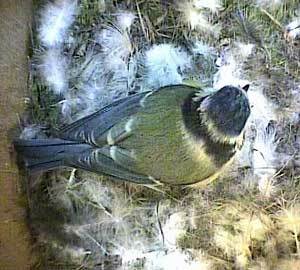 Ben often comes into the nest box when Bella is not there. This is unusual. 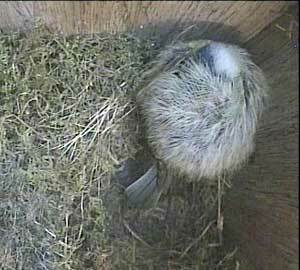 Most males look inside before they enter and fly away if the box is empty. 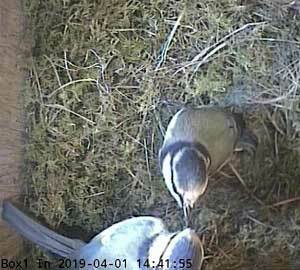 Bella arrives to find Ben already in the nest box. 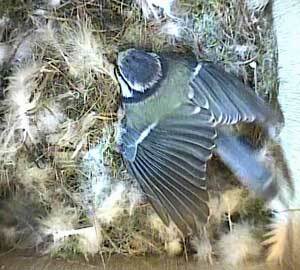 She has yet more feathers in her beak. 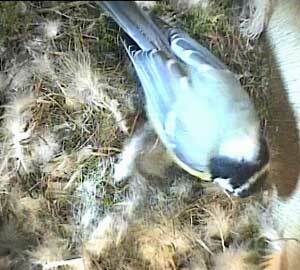 Bella just gets on with deciding where to put the feathers. Bella does a nesting wriggle. 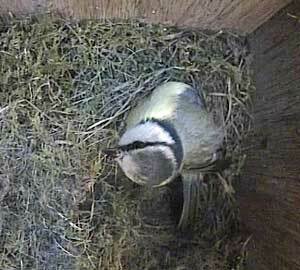 Bella also comes into roost at around half past seven. 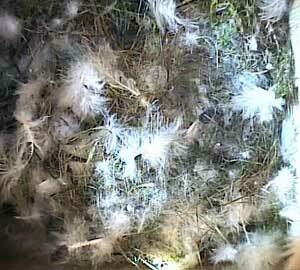 Twenty minutes later she is just a tightly curled up ball of feathers.